Glen Downing was born on April 15, 1967, in Cedar Falls, Iowa. He was commissioned a 2d Lt in the U.S. Air Force through the Air Force ROTC program at Iowa State University on December 23, 1989, and went on active duty beginning June 13, 1990. Lt Downing next completed Undergraduate Navigator Training and was awarded his navigator wings at Mather AFB, California, in August 1991, followed by service as an EC-130H Compass Call navigator, instructor mission crew commander, and mission crew commander course manager with the 41st Electronic Combat Squadron at Davis-Monthan AFB, Arizona, from September 1991 to September 1994. Capt Downing served as a C-130E Hercules instructor navigator and deputy chief of the course management and curriculum branch of the C-130 weapons instructor course at the AMWC Combat Aerial Delivery School at Little Rock AFB, Arkansas, from October 1994 to April 1998, and then as a a C-130E AWADS evaluator navigator and chief of weapons and tactics with the 2nd Airlift Squadron and then the 43rd Operations Support Squadron at Pope AFB, North Carolina, from May 1998 to February 2001. 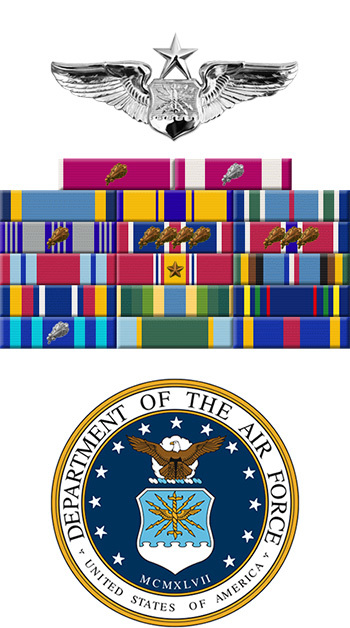 His next assignment was as chief of the combat programs and policy branch in the Directorate of Operations and then as Chief of C-130J Policy and Procedures with Headquarters Air Mobility Command at Scott AFB, Illinois, from March 2001 to May 2003, followed by the Command and General Staff Officer Course and the Advanced Military Studies Program at the Command and General Staff College at Fort Leavenworth, Kansas, from June 2003 to May 2005. Col Downing served as Operations Officer for the 375th Operations Support Squadron at Scott AFB from June 2005 to June 2006, and then as Commander of the 32nd Student Squadron with the Squadron Officer College at Maxwell AFB, Alabama, from July 2006 to July 2008. He attended Air War College at Maxwell AFB from August 2008 to May 2009, and then served as Chief of the Strategy and Assessments Division with the Secretary of the Air Force Office of Public Affairs in the Pentagon from June 2009 to June 2010. His next assignment was as Vice Commander of the 81st Training Wing at Keesler AFB, Mississippi, from June 2010 to July 2012, followed by service as Chief, Mobility Division, Global Reach Directorate in the Office of the Assistant Secretary of the Air Force for Acquisition in the Pentagon from July 2012 to November 2014. His current assignment is as Commander of Air Force ROTC Detachment 905 and Professor of Aerospace Studies at Washington State University in Pullman, Washington. Captain Glen R. Downing distinguished himself by meritorious achievement while participating in sustained aerial flight as Navigator, C-130E, 4419th Airlift Squadron, 9th Air Expeditionary Group, Ali Al Salem Air Base, Kuwait, from 11 October 1998 to 5 November 1998. During this period, the professional skill, airmanship, and dedication exhibited by Captain Downing contributed significantly to the wing's operational airlift capability in support of Operation SOUTHERN WATCH. He completed 30 missions, contributing to the squadron's overall performance in airlifting over 1,151 passengers and 562 tons of equipment while operating in an austere environment. These sorties included the airlift of time-sensitive intelligence information as well as essential equipment, personnel, and munitions supporting operations at forward operating locations throughout the Area of Responsibility. 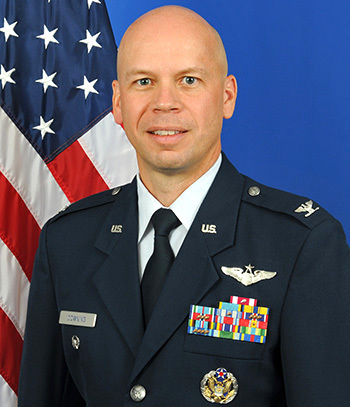 The professional ability and outstanding aerial accomplishments of Captain Downing reflect great credit upon himself and the United States Air Force.